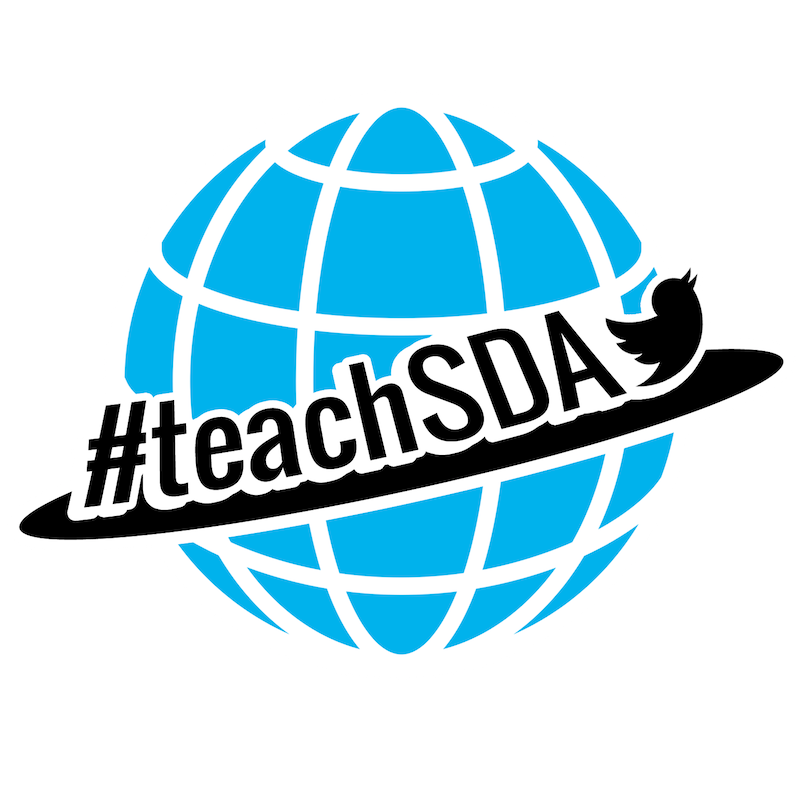 teachSDA: Slow Chat With Us! Yet even John Hattie (2008), whose decades of research revealed that feedback was among the most powerful influences on achievement, acknowledges that he has "struggled to understand the concept" (p. 173). And many writings on the subject don't even attempt to define the term. To improve formative assessment practices among both teachers and assessment designers, we need to look more closely at just what feedback is—and isn't. Basically, feedback is information about how we are doing in our efforts to reach a goal. I hit a tennis ball with the goal of keeping it in the court, and I see where it lands—in or out. I tell a joke with the goal of making people laugh, and I observe the audience's reaction—they laugh loudly or barely snicker. I teach a lesson with the goal of engaging students, and I see that some students have their eyes riveted on me while others are nodding off. A reader comments on my short story, "The first few paragraphs kept my full attention. The scene painted was vivid and interesting. But then the dialogue became hard to follow; as a reader, I was confused about who was talking, and the sequence of actions was puzzling, so I became less engaged." Note the difference between these three examples and the first three I cited—the tennis stroke, the joke, and the student responses to teaching. In the first group, I only had to take note of the tangible effect of my actions, keeping my goals in mind. No one volunteered feedback, but there was still plenty of feedback to get and use. The second group of examples all involved the deliberate, explicit giving of feedback by other people. Whether the feedback was in the observable effects or from other people, in every case the information received was not advice, nor was the performance evaluated. No one told me as a performer what to do differently or how "good" or "bad" my results were. (You might think that the reader of my writing was judging my work, but look at the words used again: She simply played back the effect my writing had on her as a reader.) Nor did any of the three people tell me what to do (which is what many people erroneously think feedback is—advice). Guidance would be premature; I first need to receive feedback on what I did or didn't do that would warrant such advice. Decades of education research support the idea that by teaching less and providing more feedback, we can produce greater learning (see Bransford, Brown, & Cocking, 2000; Hattie, 2008; Marzano, Pickering, & Pollock, 2001). Compare the typical lecture-driven course, which often produces less-than-optimal learning, with the peer instruction model developed by Eric Mazur (2009) at Harvard. He hardly lectures at all to his 200 introductory physics students; instead, he gives them problems to think about individually and then discuss in small groups. This system, he writes, "provides frequent and continuous feedback (to both the students and the instructor) about the level of understanding of the subject being discussed" (p. 51), producing gains in both conceptual understanding of the subject and problem-solving skills. Less "teaching," more feedback equals better results. Whether feedback is just there to be grasped or is provided by another person, helpful feedback is goal-referenced; tangible and transparent; actionable; user-friendly (specific and personalized); timely; ongoing; and consistent. Effective feedback requires that a person has a goal, takes action to achieve the goal, and receives goal-related information about his or her actions. I told a joke—why? To make people laugh. I wrote a story to engage the reader with vivid language and believable dialogue that captures the characters' feelings. I went up to bat to get a hit. If I am not clear on my goals or if I fail to pay attention to them, I cannot get helpful feedback (nor am I likely to achieve my goals). Information becomes feedback if, and only if, I am trying to cause something and the information tells me whether I am on track or need to change course. If some joke or aspect of my writing isn't working—a revealing, nonjudgmental phrase—I need to know. The point of this writing task is for you to make readers laugh. So, when rereading your draft or getting feedback from peers, ask, How funny is this? Where might it be funnier? As you prepare a table poster to display the findings of your science project, remember that the aim is to interest people in your work as well as to describe the facts you discovered through your experiment. Self-assess your work against those two criteria using these rubrics. The science fair judges will do likewise. Any useful feedback system involves not only a clear goal, but also tangible results related to the goal. People laugh, chuckle, or don't laugh at each joke; students are highly attentive, somewhat attentive, or inattentive to my teaching. Even as little children, we learn from such tangible feedback. That's how we learn to walk; to hold a spoon; and to understand that certain words magically yield food, drink, or a change of clothes from big people. The best feedback is so tangible that anyone who has a goal can learn from it. Sometimes, even when the information is tangible and transparent, the performers don't obtain it—either because they don't look for it or because they are too busy performing to focus on the effects. In sports, novice tennis players or batters often don't realize that they're taking their eyes off the ball; they often protest, in fact, when that feedback is given. (Constantly yelling "Keep your eye on the ball!" rarely works.) And we have all seen how new teachers are sometimes so busy concentrating on "teaching" that they fail to notice that few students are listening or learning. That's why, in addition to feedback from coaches or other able observers, video or audio recordings can help us perceive things that we may not perceive as we perform; and by extension, such recordings help us learn to look for difficult-to-perceive but vital information. I recommend that all teachers videotape their own classes at least once a month. It was a transformative experience for me when I did it as a beginning teacher. Concepts that had been crystal clear to me when I was teaching seemed opaque and downright confusing on tape—captured also in the many quizzical looks of my students, which I had missed in the moment. Effective feedback is concrete, specific, and useful; it provides actionable information. Thus, "Good job!" and "You did that wrong" and B+ are not feedback at all. We can easily imagine the learners asking themselves in response to these comments, What specifically should I do more or less of next time, based on this information? No idea. They don't know what was "good" or "wrong" about what they did. Actionable feedback must also be accepted by the performer. Many so-called feedback situations lead to arguments because the givers are not sufficiently descriptive; they jump to an inference from the data instead of simply presenting the data. For example, a supervisor may make the unfortunate but common mistake of stating that "many students were bored in class." That's a judgment, not an observation. It would have been far more useful and less debatable had the supervisor said something like, "I counted ongoing inattentive behaviors in 12 of the 25 students once the lecture was underway. The behaviors included texting under desks, passing notes, and making eye contact with other students. However, after the small-group exercise began, I saw such behavior in only one student." Such care in offering neutral, goal-related facts is the whole point of the clinical supervision of teaching and of good coaching more generally. Effective supervisors and coaches work hard to carefully observe and comment on what they observed, based on a clear statement of goals. That's why I always ask when visiting a class, "What would you like me to look for and perhaps count?" In my experience as a teacher of teachers, I have always found such pure feedback to be accepted and welcomed. Effective coaches also know that in complex performance situations, actionable feedback about what went right is as important as feedback about what didn't work. Even if feedback is specific and accurate in the eyes of experts or bystanders, it is not of much value if the user cannot understand it or is overwhelmed by it. Highly technical feedback will seem odd and confusing to a novice. Describing a baseball swing to a 6-year-old in terms of torque and other physics concepts will not likely yield a better hitter. Too much feedback is also counterproductive; better to help the performer concentrate on only one or two key elements of performance than to create a buzz of information coming in from all sides. Expert coaches uniformly avoid overloading performers with too much or too technical information. They tell the performers one important thing they noticed that, if changed, will likely yield immediate and noticeable improvement ("I was confused about who was talking in the dialogue you wrote in this paragraph"). They don't offer advice until they make sure the performer understands the importance of what they saw. A great problem in education, however, is untimely feedback. Vital feedback on key performances often comes days, weeks, or even months after the performance—think of writing and handing in papers or getting back results on standardized tests. As educators, we should work overtime to figure out ways to ensure that students get more timely feedback and opportunities to use it while the attempt and effects are still fresh in their minds. Before you say that this is impossible, remember that feedback does not need to come only from the teacher, or even from people at all. Technology is one powerful tool—part of the power of computer-assisted learning is unlimited, timely feedback and opportunities to use it. Peer review is another strategy for managing the load to ensure lots of timely feedback; it's essential, however, to train students to do small-group peer review to high standards, without immature criticisms or unhelpful praise. Adjusting our performance depends on not only receiving feedback but also having opportunities to use it. What makes any assessment in education formative is not merely that it precedes summative assessments, but that the performer has opportunities, if results are less than optimal, to reshape the performance to better achieve the goal. In summative assessment, the feedback comes too late; the performance is over. It is telling, too, that performers are often judged on their ability to adjust in light of feedback. The ability to quickly adapt one's performance is a mark of all great achievers and problem solvers in a wide array of fields. Or, as many little league coaches say, "The problem is not making errors; you will all miss many balls in the field, and that's part of learning. The problem is when you don't learn from the errors." To be useful, feedback must be consistent. Clearly, performers can only adjust their performance successfully if the information fed back to them is stable, accurate, and trustworthy. In education, that means teachers have to be on the same page about what high-quality work is. Teachers need to look at student work together, becoming more consistent over time and formalizing their judgments in highly descriptive rubrics supported by anchor products and performances. By extension, if we want student-to-student feedback to be more helpful, students have to be trained to be consistent the same way we train teachers, using the same exemplars and rubrics. In light of these key characteristics of helpful feedback, how can schools most effectively use feedback as part of a system of formative assessment? The key is to gear feedback to long-term goals. Let's look at how this works in sports. My daughter runs the mile in track. At the end of each lap in races and practice races, the coaches yell out split times (the times for each lap) and bits of feedback ("You're not swinging your arms!" "You're on pace for 5:15"), followed by advice ("Pick it up—you need to take two seconds off this next lap to get in under 5:10!"). My daughter and her teammates are getting feedback (and advice) about how they are performing now compared with their final desired time. My daughter's goal is to run a 5:00 mile. She has already run 5:09. Her coach is telling her that at the pace she just ran in the first lap, she is unlikely even to meet her best time so far this season, never mind her long-term goal. Then, he tells her something descriptive about her current performance (she's not swinging her arms) and gives her a brief piece of concrete advice (take two seconds off the next lap) to make achievement of the goal more likely. The ability to improve one's result depends on the ability to adjust one's pace in light of ongoing feedback that measures performance against a concrete, long-term goal. But this isn't what most school district "pacing guides" and grades on "formative" tests tell you. They yield a grade against recent objectives taught, not useful feedback against the final performance standards. Instead of informing teachers and students at an interim date whether they are on track to achieve a desired level of student performance by the end of the school year, the guide and the test grade just provide a schedule for the teacher to follow in delivering content and a grade on that content. It's as if at the end of the first lap of the mile race, My daughter's coach simply yelled out, "B+ on that lap!" The advice for how to change this sad situation should be clear: Score student work in the fall and winter against spring standards, use more pre-and post-assessments to measure progress toward these standards, and do the item analysis to note what each student needs to work on for better future performance. Although the universal teacher lament that there's no time for such feedback is understandable, remember that "no time to give and use feedback" actually means "no time to cause learning." As we have seen, research shows that less teaching plus more feedback is the key to achieving greater learning. And there are numerous ways—through technology, peers, and other teachers—that students can get the feedback they need. So try it out. Less teaching, more feedback. Less feedback that comes only from you, and more tangible feedback designed into the performance itself. And, of course, send me some feedback on this article at gwiggins@authenticeducation.org.